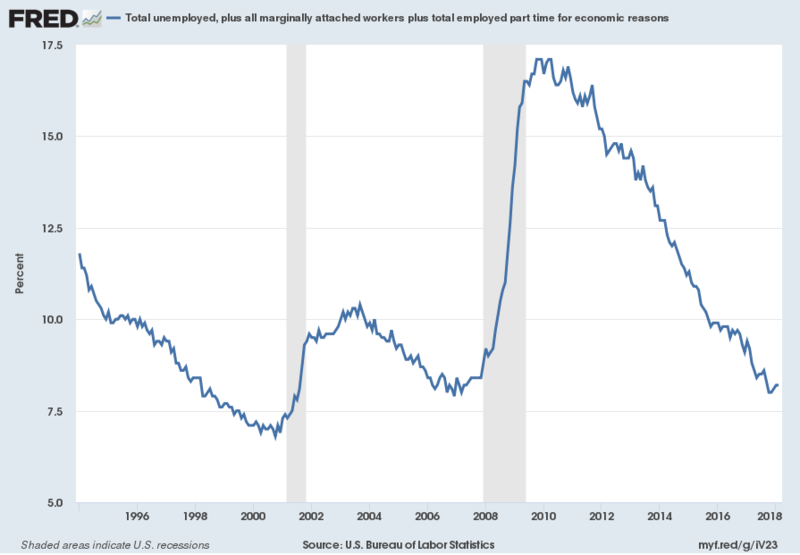 This year, the national unemployment rate reached a low of 3.9 percent, which is the lowest it has been in nearly 20 years. While this is great news for the economy and employees, it’s a bit of a Catch-22 for employers, who now find themselves with more jobs to offer and an ever-shrinking talent pool from which to draw resources. It can certainly be argued that no one feels the pinch of finding and keeping top talent quite like the modern CMO. Because marketing ops team members are masters of marketing and technology strategies, they are in high demand. Finding one of these hybrid employees is equivalent to striking gold during a rush — both are rare, valuable and carry the potential to dramatically impact your future. To learn how you can hang onto the good ones and attract more of the same, we’ve outlined four steps, below. Countless scientific studies have been conducted to discover the magic formula that increases retention and reduces turnover. Analysts and researchers at the Great Place to Work Institute (responsible for determining Fortune’s Best Places to Work lists) have been studying this subject for decades and it all boils down to one thing: culture. Although cultures vary wildly from one workplace to the next, the great ones have three things in common: trust, pride and camaraderie. Employees must trust the people they work for, have pride in what they do, and enjoy being around the people they work with in order to be willing to stay. Establishing a good culture seems a simple enough endeavor and yet most companies fall far short of the ideal. To close the gap, we recommend assessing your company’s strengths and weaknesses via an in-depth culture analysis. There are numerous reputable culture consultants in the U.S., who are able to perform assessments for entire companies or single departments. Moreover, a good culture assessment will equip you with practical insights and next steps you can take to increase engagement. In the event you need to convince the powers that be of the importance of culture, you can tell them that research has shown time and again that companies with great cultures outperform the stock market index by more than three times the average. Walter Clarke, a renowned industrial psychologist, created the DISC assessment to help businesses choose more qualified employees and put together high-performance teams. The test is fairly quick and simple to take, but reveals a wealth of sharable information about each employee that allows individuals to better “understand themselves and adapt their behaviors with others.” Helpful for leaders and employees alike, the DISC sheds light on what motivates people, how they resolve conflicts, what causes them stress, and other critical information. Insights can then be used to manage employees more effectively, develop leaders, foster collaboration and teamwork, increase productivity and enhance communication — all of which add to an employee’s overall satisfaction in their work and happiness at their workplace. Before your best marketing ops team members can take pride in their work, they must first be able to do their work in a manner that respects their time and expertise. It’s kind of ridiculous to pay top dollar for rare talent and then bury their brilliance in spreadsheets and mountains of manual tasks that must be done because the martech stack is poorly integrated or there are functionality gaps in the software ecosystem. Smart people frustrated by the poor-performing tech they are forced to rely on are often more motivated than coworkers to seek new opportunities. Don’t make it easy for them to leave. Instead, equip them with the martech tools they need to get the job done. Then, make sure everything is well-connected via an API integration platform, like Connect. A good integration tool eliminates time-consuming manual tasks and enables all types of martech and software to work together seamlessly. In addition to increasing efficiency and productivity, your marketing stack integration tool should feature pre-built integrations, a user-friendly interface, and the ability to build your own integrations. This will not only reduce your department’s reliance on IT, but make it easy for your marketing ops stars to set and accomplish more goals in less time, which is a loyalty-inducing win-win for you and them. Every CMO is busy, but busyness should never be the cause of work relationships being put on the back burner. As we learned in step one, people need to trust their leaders, but it’s impossible to trust someone you don’t know. It’s also easier to quit a place where your boss is not someone you feel connected to on a meaningful level. The best way to get to know the people who work for you is to spend quality time with them, and one of the greatest ways to do that is to take individuals to lunch on a regular basis. A key to making exec/employee lunches a success is to show you are fully committed to keeping your appointment with them – as in nothing else is more important. By demonstrating this kind of commitment to them, you’ll foster that kind of commitment to you. We recommend choosing the same day every week for one-on-one employee lunches and booking them with individual team members on a rotating and ongoing basis. That way, it’s a known priority that others will learn to book around. As the leader, you will need to set the tone for the lunches. Ideally you want to create a relaxed atmosphere in which employees find you are not checking your phone, but fully focused on them, and ready to listen and respond. Start by asking questions. Your goal is to get them to talk and to feel comfortable talking to you. Let them know you want to hear their thoughts, ideas, issues and interests. When lunch is over, encourage them to remind you to follow-up on anything discussed that needs it. That way, you keep the communication flowing and establish accountability, which is essential to building mutually rewarding, long-lasting relationships.